This Lion Was Rescued From A Circus. When He Touches Grass For The First Time? My Heart Melts. Imagine being locked in a cage for 13 years, only let out to be put on a stage to perform tricks and rehearse your training over and over. Such was the case with this lion. He was living in a fishbowl and had no concept of the natural outdoors which he was instinctively attracted to, as this video proves. 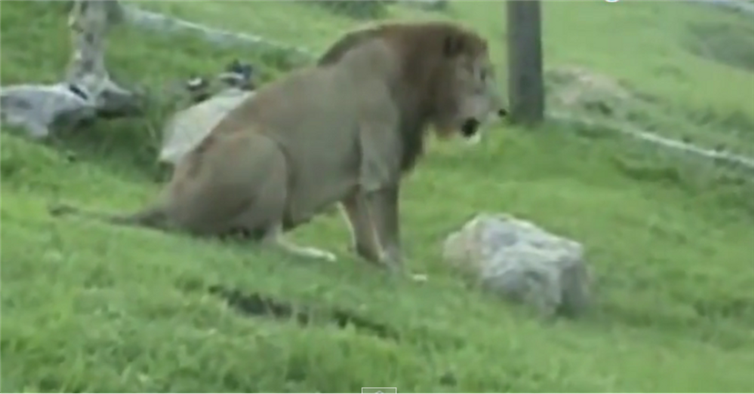 Finally, this lion was rescued from the horrors of the circus, and released to natural surroundings. As you can see in this video, even though he is fully grown, he is acting like a little baby lion, rolling around in the grass, playing, and totally loving his newly found freedom! A very moving video that will make you think strongly about the horrible, unnatural conditions that circus animals live in.